In the movie “Minority Report” people are able to predict the actions of criminals before they act. Whilst that remains science fiction, we do now have technologies that can predict future behaviour. And the world of e-commerce, is one area that is benefiting from this – helping to increase website conversion rates. Simply put, a program educates itself and becomes able to make successful autonomous decisions. Facebook applies machine learning to help users discover new content and avoid spam and misleading content. PayPal uses this technology to detect fraud. Even Google Translate is based on machine learning technology. The more people translate texts with the help of this service, the better the quality of translation is. Machine learning has also successfully taken root in e-commerce. 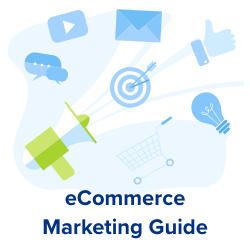 This article and infographic explains the ways that machine learning can be used, and specifically how it can help e-commerce companies to increase website conversion rates. Many E-commerce stores have a common problem: they offer good products, but their percentage of conversions is very low. What if they could foresee consumer reactions and encourage people to buy their products? Well, now this is possible thanks to machine learning technology. 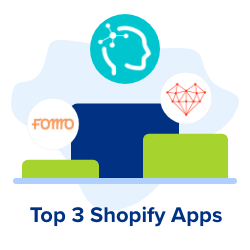 Here are some real world examples of how e-commerce companies are already taking advantage of machine learning technology. Good old chatbots fit perfectly into the modern e-commerce reality. They even seem to have been created for this industry. 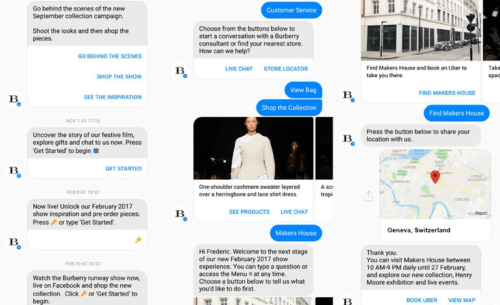 For example, global brands including Burberry and Tommy Hilfiger actively use chatbots. 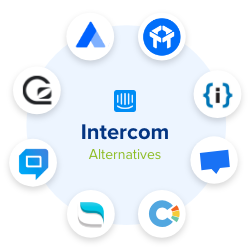 “An intelligent, learning chatbot can manage basic customer service questions and learn how to help customers in ways that are specific to a particular online store,” says Armando Roggio, senior contributing editor for Practical Ecommerce. Through machine learning, a company can have an online consultant who works 24/7 without any need for rest or compensation. It also turns out that chatbots’ functionality perfectly matches consumer needs. According to a Ubisend survey, consumers are ready to spend over $600 after communication with a chatbot. 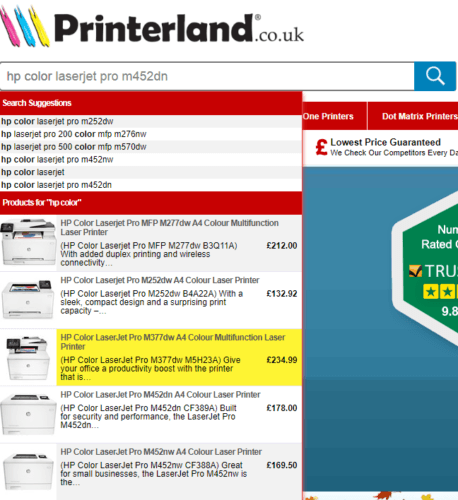 Probably every online company understands the importance of the search function. After all, the more easily consumers can find what they need, the more likely they are to buy something. 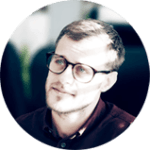 “An effective site search function is obviously a key element,” says David Moth, Editor and Head of Social at Econsultancy. That’s why many e-commerce companies are trying to improve the search option on their website. For example, many have added an autocomplete feature, which helps improve both search speed and relevance. However, machine learning technology, allows company owners to go even further. A conventional website search can be turned into a so-called “learning search”. 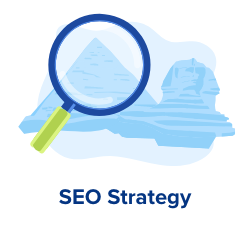 A regular search is based on the principle of looking for similar keywords or synonyms, while learning search is much more complex. 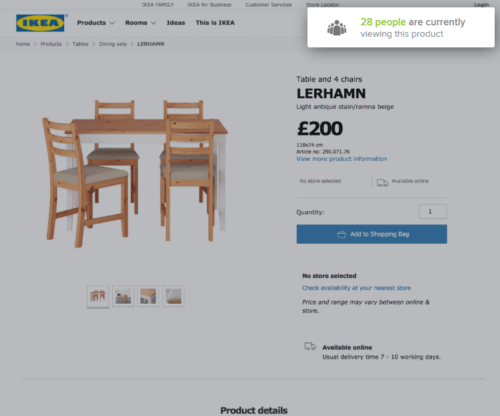 Armando Roggio explains “Improved learning search will also consider click rates, conversion rates, customer ratings, and even product inventory or margin.”. Like everything using machine learning, this type of search will improve itself over time, giving people more relevant and suitable answers to their queries. 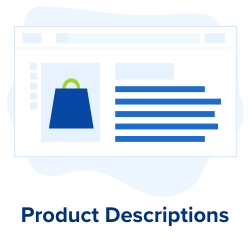 There is a trend for companies to apply machine learning to increase the relevance of recommended and related products. According to Barilliance, as early as Q4 2014, 31% of e-commerce revenues were generated from personalized product recommendations. Since then, these recommendations have become even more useful. It also turns out that consumers actually want to receive these notifications. According to an eMarketer survey 80% of respondents believe notifications to be useful. Usually, these recommendations are manifested in the form of push notifications. A customer clicks on the notice and is suggested more suitable goods. The company gets money and a thankful customer. We have already mentioned the concept of push notifications. Essentially, persuasive notifications are an enhancement of this concept, driven by consumer psychology. They are called ‘persuasive’ because they induce a potential customer to buy a product using psychological prompts that are proven to be effective at motivating people. For example, by urging them to buy a product that is in short supply, or that a large number of people are interested in it at the moment. “When an object or resource is less readily available (e.g, due to limited quantity or time), we tend to perceive it as more valuable,” Robert Cialdini, Professor of Psychology and Marketing at Arizona State University. 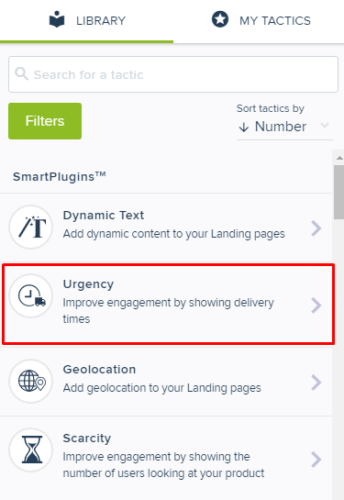 When notifications demonstrate effectiveness, the program automatically starts to send larger amounts of traffic to them. 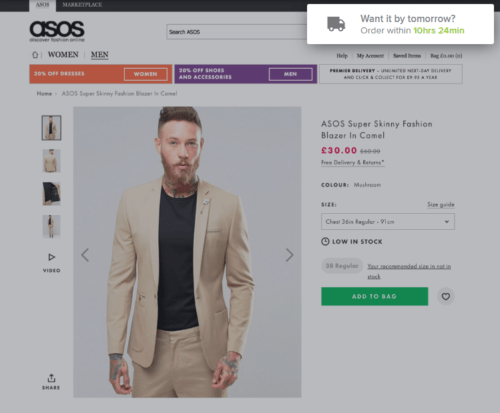 Let’s take a closer look at how persuasive notifications work, and how they can be applied. 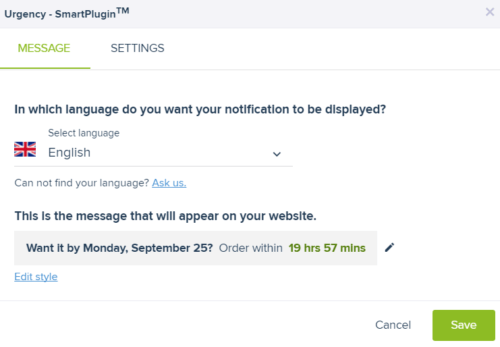 For clarity, we can use our SmartPlugin™, powered by a machine learning engine. 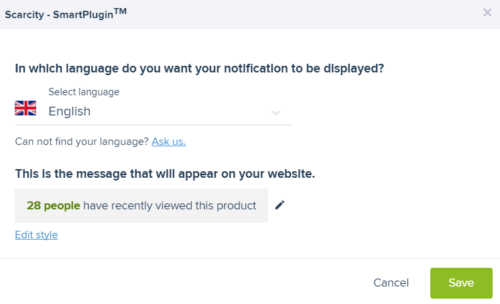 It uses real data from your website to ensure that notifications appear when they are needed, that they convey the necessary information, and are personalized. First, let’s see how we can create a sense of urgency. This feeling will push a consumer to buy a product as quickly as possible. To begin, we take the “urgency” icon and drag it onto the page. Then we configure the parameters of a notification and save them. Then the notification starts working. Similarly, you can push consumers with a sense of scarcity. A consumer thinks that besides him or her, the product is interesting to many other people, and because of this the desire to buy this product sharply rises. 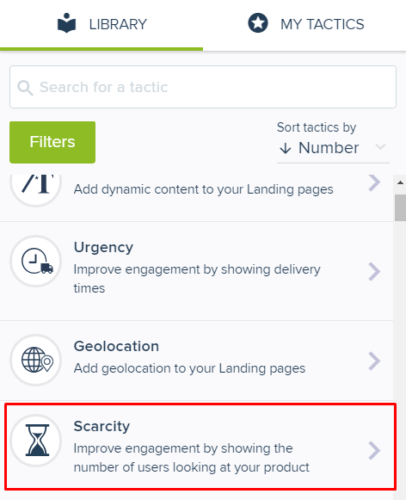 All you have to do is just to select the scarcity plugin instead of the urgency one. Once installed, plugins will begin to have an immediate psychological impact on the visitors to a page. They will encourage them to make a purchase, which will gradually increase website conversion rates. At the end of the period, you check the results, then direct all of your traffic to better performing variant. However, depending on your traffic and statistical significance levels, these A/B tests can take weeks. 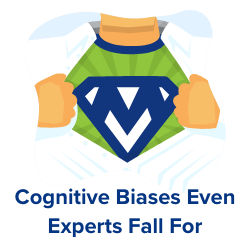 This means that for the duration of the experiment you are diverting a large proportion of potential customers to a sub-optimal variant – losing you money! Autopilot™ continually assesses the best performing variant in your test and allocates it a higher percentage of traffic. This smooths the process of optimisation, and in doing so ensures you maximise conversions whilst running tests. Let’s assume that you are conducting a two week long A/B test. Week 1 – ‘Variation A’ performs better and Autopilot™ gradually increases the traffic to it. Week 2 – ‘Variation B’ performs better, so the traffic is gradually reallocated back to that version. 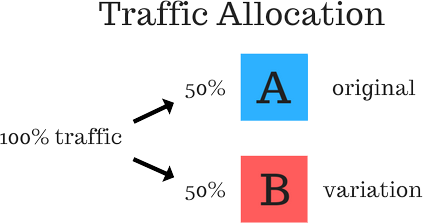 Result – The winning variation receives the majority of traffic throughout test. And the best part? You won’t have had to change a thing! Machine learning is revolutionising the way that e-commerce companies communicate with their customers. All have the common aim of improving customer experience to drive greater revenues. 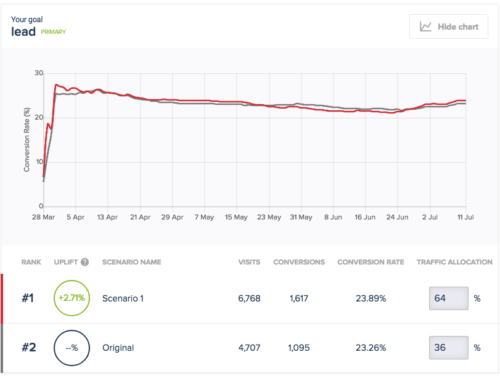 Persuasive notifications and smart A/B testing are a simple way for you to introduce machine learning and increase website conversion rates. What do you think about machine learning technology? Would you like to use it in your store? Please, share your opinion in the comments.